Computer users looking to build a powerful system will need to start with a beefy motherboard like the P5QL Pro by Asus. This motherboard is based on the Intel LGA775 or Socket T-based and supports Intel Core 2 processors such as the Core 2 Quad, Core 2 Duo, and the Core 2 Extreme. It sports a speedy 1333 MHz front side bus, which can be overclocked to 1600 MHz, and has four DDR2 RAM slots for a total of 16 GB of dual channel memory. The P5QL is also equipped with the energy-saving Energy Processing Unit, which regulates power usage within the system. 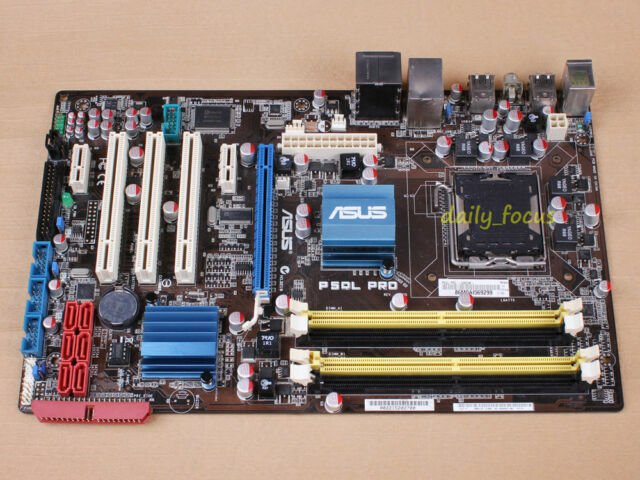 The ASUS mother board performs very well with Windows 10 Professional as well as with the components such as USB internet antenna (Cisco Linksys), Galaxy GT 610 video card and Intel Core 2 dual at 2.93 GHz, OCZ Gold Series DDR 2 memory and key board, vertical mouse. However, I had to replace the heat sink of the north bridge with another heat sink which consists of a fan attached to the aluminium block. This heat sink performs excellently with the ASUS mother board. Good board for a spare computer. Good board. Works well. windows 7x64 loaded all drivers on install. Only thing I found was the connection for power light was 4 pin instead of normal 2 or 3 pin. So you have to have some old connectors to juryrig to get power light to work. Good board. Good value. Good service. Bought this mobo to revive an old rig so that it could be used by the kids, works great easy oc settings and so far durable. Exactly what I was looking for glad I found one. I am still setting it up with multiple O/S and I still have to update the BIOS as well as tweak it to make it a bit faster.